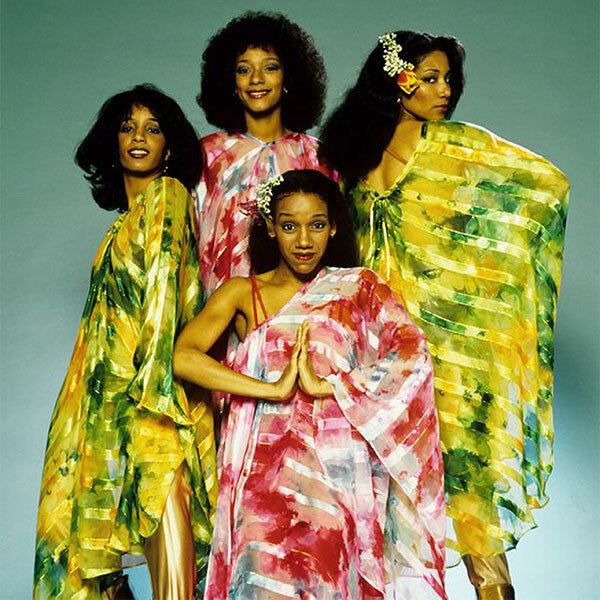 Best known for their work with Chic in the late '70s, siblings Debbie, Kim, Joni, and Kathy Sledge -- collectively Sister Sledge -- reached the height of their popularity during the disco era but had been recording since the early '70s and were still active in the decades to follow. The group was formed in Philadelphia in 1971, when the sisters' ages ranged from 12 to 16, and they recorded their first single, "Time Will Tell," for the Philly-based Money Back label. (For the first few years, the group called itself Sisters Sledge.) In 1972, Sister Sledge signed with Atco and recorded their second single, "Weatherman," which was followed by the Jackson 5-like "Mama Never Told Me" in 1973. Sister Sledge's first national hit came in 1974, when "Love, Don't You Go Through No Changes on Me" reached number 31 on the R&B chart and the Philadelphians recorded their debut album, Circle of Love. Their second album, Together, was released in 1977 and contained the number 61 R&B hit "Blockbuster Boy." It wasn't until 1979, when Chic leaders Nile Rodgers and Bernard Edwards produced We Are Family, that Sister Sledge really exploded commercially. "He's the Greatest Dancer" and We Are Family's title song both soared to number one on the R&B chart, and the latter (a number two pop smash) was adopted as a theme by the World Series-winning Pittsburgh Pirates. Sister Sledge's next album, Love Somebody Today (1980), was also produced by the Rodgers/Edwards team, and the single "Got to Love Somebody" became a number six R&B hit. In 1981, Sister Sledge switched producers and worked with Narada Michael Walden, who produced 1981's excellent All American Girls. The title song was a number three R&B hit, and in 1982 Sister Sledge had a number 14 R&B hit with a cover of Mary Wells' "My Guy" that appeared on The Sisters. But after that, the foursome's popularity faded, and they never had another Top 20 hit in the U.S. -- although 1985's "Frankie" (a number 32 R&B hit in the States) became a pop number one hit in England. Sister Sledge left Atlantic for good in 1985, but the group members stayed busy. Epic released Kathy's debut solo album, Heart, in 1992, and 1997 found the sisters recording a risk-taking date, African Eyes, arguably one of the finest albums they ever recorded. Joni Sledge died of natural causes at her home in Phoenix, Arizona in March 2017; she was 60 years old.